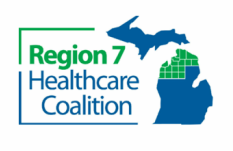 To support Michigan’s goal of identifying a Volunteer Reception Center (VRC) in each region; local health department and Healthcare Coalition emergency preparedness coordinators may want to view the upcoming CDC Volunteer Management Webinar (Strategies for Points of Dispensing). On Wednesday, November 18, 2015 from 1:00-2:00 p.m. presenters from state and local health departments will describe strategies to use for volunteer management, and point of dispensing (POD) staffing. Maine Department of Health and Human Services will present a standard operating procedure and request form they developed to request volunteer resources through their emergency management agency. Tarrant County Public Health (Texas) will present the system they use for badging/tracking volunteers during deployment and their plan for the management of spontaneous volunteers. 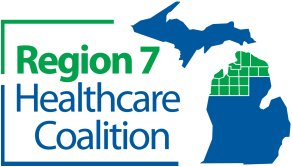 Franklin County Public Health (Ohio) will present the findings of a recent full scale exercise that tested a regional volunteer reception center plan and county-level volunteer management plans. These presenters will share lessons learned and best practices that state and local health department viewers can use to improve volunteer management and POD staffing in their own jurisdictions. To join the webinar, access the Live Meeting at https://www.mymeetings.com/emeet/join/index.jsp?customHeader=mymeetings and enter conference number RW3216758 and audience passcode: 1854806.